For many people, it can be difficult to find the personal time to join a gym, in this updated and expanded article we take a look at the primary market manufactured treadmills the SOLE F85 treadmill and the SOLE F80 treadmill from sole fitness (updated for 2017/2018). When we first published this post way-back in 2015 it was all about the SOLE F85. Since then a few things has happened. Sole Fitness has released a new and updated design (in 2016). They have also released more models. The SOLE F80 treadmill is now a popular choice and a interesting alternative to the it’s bigger sibling the F85. And, that’s exactly why we have chosen to expand this article with additional facts (and a easy to understand comparison) about he SOLE F80 treadmill too. Between obligations at home and work, and taking the time that one may need to relax, many struggle with effective weight loss. Fortunately, however, there are numerous solutions available in the forms of home gyms and exercising equipment. 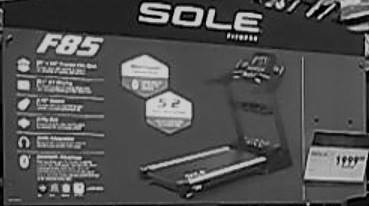 One of the latest and most advanced articles of exercising equipment to be developed by the SOLE company is the F85 SOLE Treadmill. This particular Sole Fitness treadmill model is designed with numerous innovations that can give people the edge that they need to get started with healthy and effective weight loss. The overall design is basic and easy to use, while still being durable enough to provide owners with reliable functionality for years to come. These two treadmills comes with a new design made available in 2016. We have updated our pictures to let you judge for yourself if you like the newer design better. 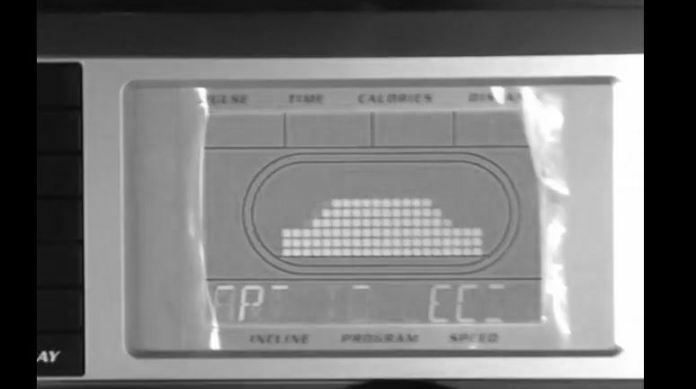 The SOLE F85, like the SOLE F80, treadmill for indoor workouts was commended for the wide variety of easy to use features that it included in its design. Individuals will have the opportunity to adjust their level of incline and speed quickly, at their own pace. A comprehensive display screen works in conjunction with the buttons themselves and make it easy for the user to control the intensity level of their workout. The console screen itself is a large and vibrant blue screen that contains helpful readouts to help users get more out of their exercising experience. Individuals will be able to keep track of numerous pieces of relevant information, including their heart rate, pace, speed, and calories burned after a certain amount of time on the device. The SOLE F85 comes with a detailed 10 inch display (commercial grade TFT), the SOLE F80 on the other hand comes with a slightly smaller 9 inch display (a liquid-crystal display (LCD) flat-panel display). The SOLE F80 treadmill is now marketed with a more intuitive and silent design in mind. The SOLE F80 has been described as unique in that it can provide users with all of the comfort of a standard deck, but with the addition of a quieter workout as well (here). Using the machine produces upwards of forty percent less sound, while putting less strain on the motor itself as well. Reviewers also found that the precise welding on the device’s frames increased its handling and durability, allowing for a much more reliable experience, even when handled by multiple users. 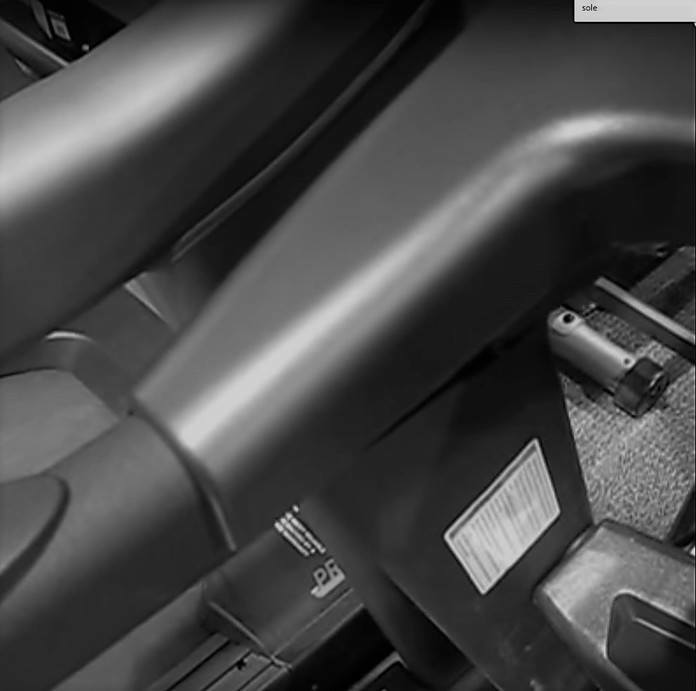 The treadmill’s construction also includes some of the most powerful motors and chassis that may be purchased in the training class. The framework and inclines are designed to support the inclusion of the high quality motors, which feature larger diameters and balanced flywheels to allow for a vibration free surface. The inclusion of the flywheels themselves allow the motor to operate at a cooler frequency, which extends the life of the motor. The use of heavier flywheels also establishes a much smoother range of motion. This allows the treadmill to create a more realistic walking movement, which many users have reported enhanced the quality of their workout. 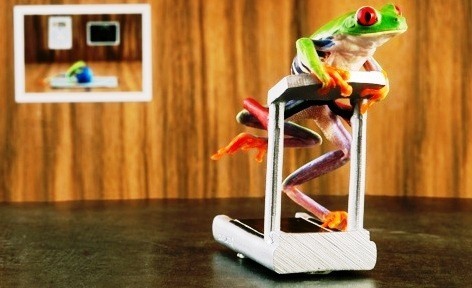 The SOLE F80 treadmill, even though slightly less expensive, comes with a high build quality. In addition to all of the other sturdy and reliable parts included in the construction of the SOLE F80 and the SOLE F85 Treadmills, these devices makes use of durable rollers (check out the pictures). The rollers used in the machine measure approximately two and three quarters and are sealed with a powerful bearing design, with copper wires to help reduce static as they are used in the device. Utilizing larger rollers rollers ensures that a higher quality of contact surface is established against the belt, which helps extend both the life of the roller and the belt. This also establishes a much quieter range of motion for the user. The belts used are all two ply with four woven layers. 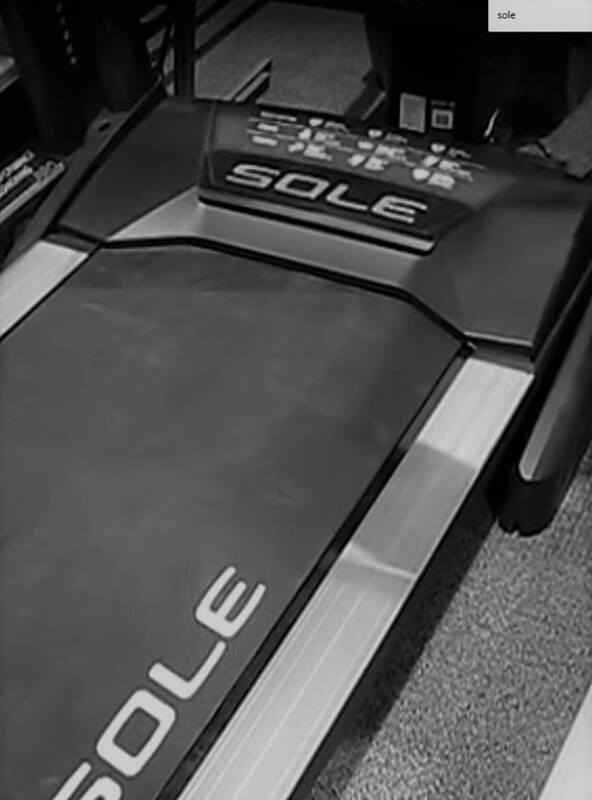 While such belts are featured on this treadmill, the company has said that they used this variety of belts on all of their devices. The two rubber layers that sandwich the middle layer of PVC with a durable nylon backing ensures that the belts move smoothly over the rollers and deck. All of the materials work with one another, preventing the other parts of the device from working with excess strain. The SOLE F85 treadmill is a fold-able treadmill, but the construction is very sturdy, so we don’t anticipate any problems there. While all of these features come together to provide a comfortable exercising experience for the customer, the group has also put in the effort to establish a comfortable environment outside of the customer’s home, on the internet. 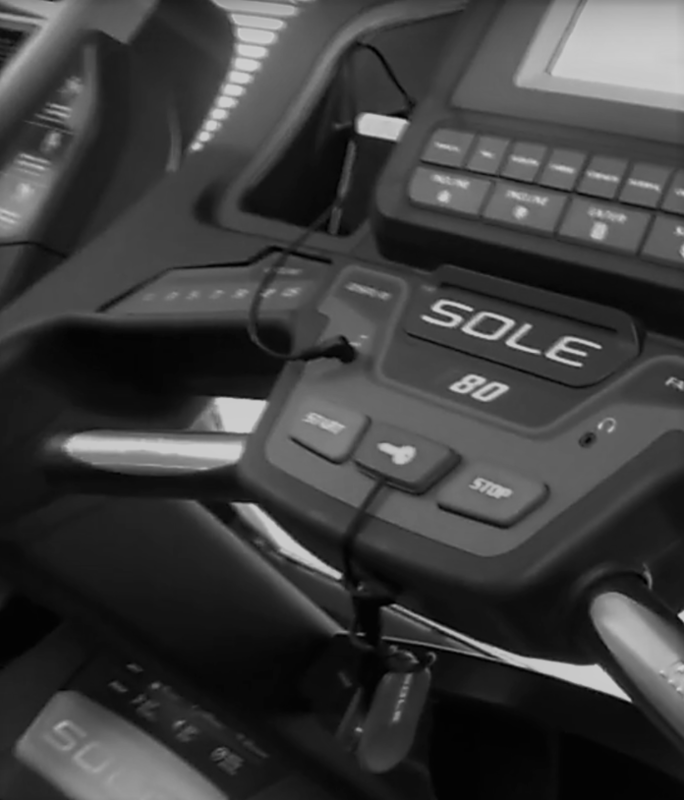 SOLE Fitness offers message boards that are dedicated to different models and devices. This allows individuals to have the chance to work with both other customers and dedicated staff members to troubleshoot any problems that they may experience with their treadmills, or share stories and experiences relating to the devices. The message board also provides additional functionality in that they can be effortlessly synced with the treadmill itself. They can help recap the entire workout after the user is finished with it, allowing them to track their progress and see what types of benefits they are enjoying with the treadmill. 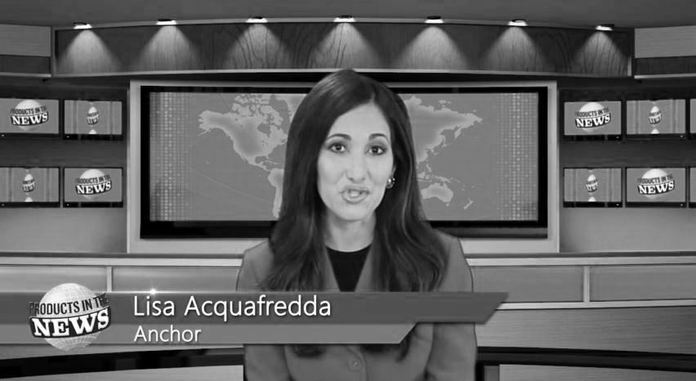 As always, send us your news stories, you can find our contact information here. This function was designed to help users establish a much more intensive exercising experience that allows them to find their level of comfort with their new treadmills, regardless of if they choose the less expensive SOLE F80 treadmill, or the more expensive SOLE F85 treadmill. 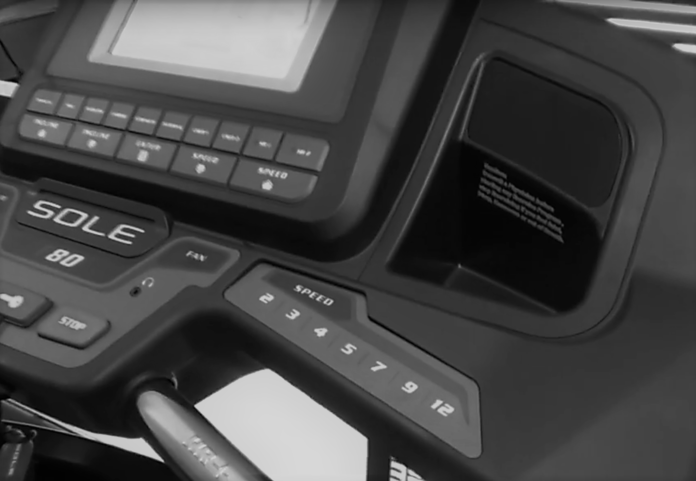 About the Sole F63 Treadmill Technology – an Introduction and Tech Review by Skirmisher News originally published in 2015, but now updated to reflect the newly released 2016 model. Fitness is catching on faster than a fire in a lot of people’s lifestyles. This may be fueled by the rapid realization and understanding of the negative effects of not leading a healthy lifestyle. Additionally, individuals may be aspiring to live to their fullest potential, and that may include obtaining the ideal body for them. Either way, fitness is an important part in a lot of people’s lives. With that, there are many types of workouts and fitness plans, depending on a lot of things. However, cardio is one of the main foundations for any workout style. For that reason, those who work out seek to have a certain time period set apart exclusively for cardio as a part of the whole workout. Considering the fast paced world we live in, convenience is the main characteristic individuals look for in nearly anything. This includes work outs. For cardio, running is one of the best ways to gain cardio fitness and work out other muscles as well. However, it may require outdoor running. This is where treadmills come in. Treadmill companies realized the gap between people’s need of having a convenient cardio workout without having to go outside their home or seclusive workout area. For that reason, treadmills have been developed to fuse these two needs into one. 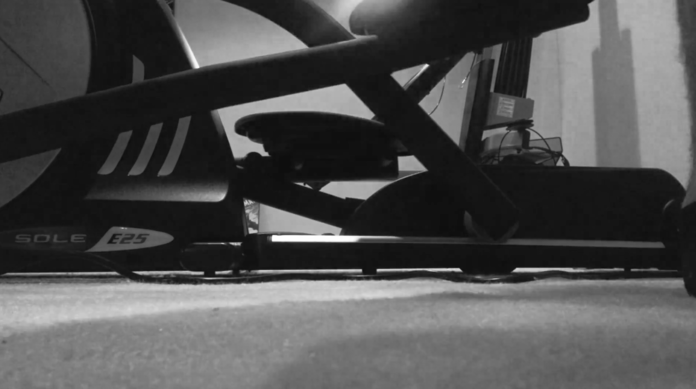 Given that there are many treadmill types on the market, each is unique and with its own set of new treadmill technology which set it apart from others. For a prospective buyer, knowing the facts is useful for it provides him or her the necessary and needed information before purchasing. 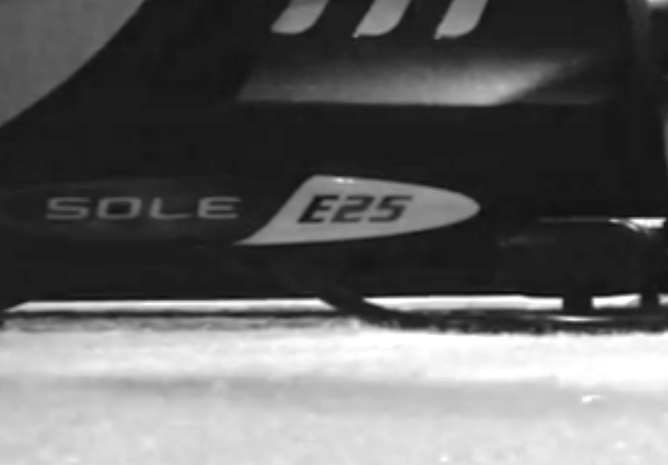 In this particular discussion, we will look at the Sole F63 treadmill in particular. We will focus on information about the treadmill, its main specifications and features, its technology as well as other information that is useful to the reader. The Sole F63 treadmill is a product of the Sole Fitness company, also know for the Sole F85 and Sole F80 treadmill models, both previous reviewed by Chris Mayer. The Sole Fitness company specializes in making fitness machines such as exercise bikes, elliptical machines, and treadmills. 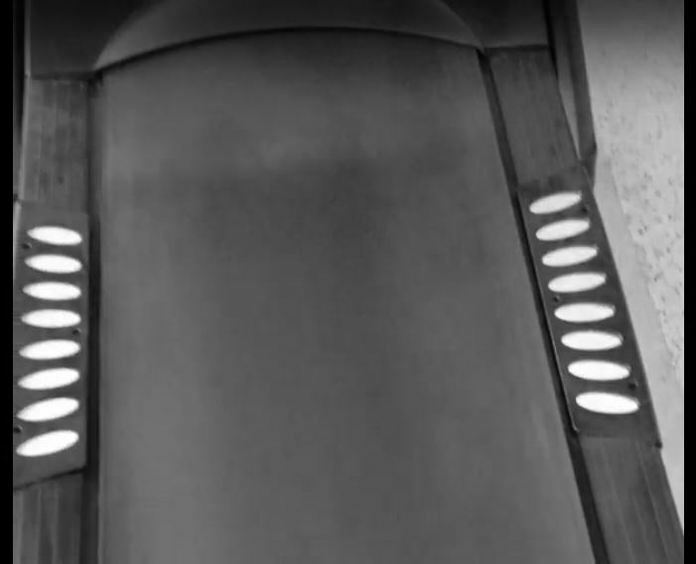 The treadmill itself falls is one of seven Sole treadmills. Featuring a variety of speeds levels and the convenience of space saving with its foldable feature, it is an assemble-yourself machine. It comes in a box with its parts detached and with a manual to guide the user on how to fit the various parts onto each other. The assembly process is relatively simple. More reviews and information regarding the assembly of the Sole F63 treadmill can be found here. Following the assembly of the F63 folding treadmill, there is a stipulated safety checklist on the owner’s manual which must be followed closely in order to avoid any potential electrical and safety hazards. This includes setting up a proper electrical input from a central source as well as calibrating the start and stop buttons of the machine as well as setting up information such as the time and date on the machine. The Sole F63 features a range of specifications. There are a variety of speeds that come with the treadmill. The speed can go up to 12mph (starting at 0.5 mph) with a range of various speeds in between to suit different workout routines and intensities. 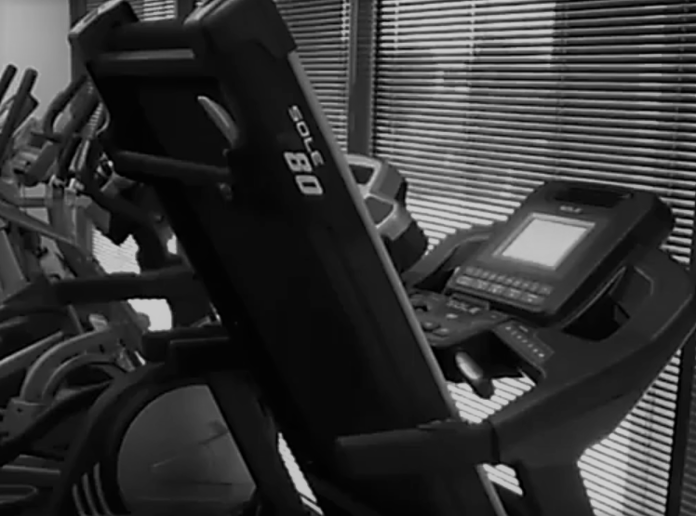 For a more intensified workout, the user can choose to incline the machine. There are 15 levels of incline to provide various levels of intensities. With the treadmill comes a range of preset workout programs which the user can choose from. The purpose of these programs is to take the user through various workouts targeting various goals. There are preset programs for fat burning and cardio training. There are additional features that come with the treadmill. For example, the user friendly display, an 6.5 inch white back-lit LCD screen, that displays incline levels, speed, time, distance, pulse, pace, and calories burned. 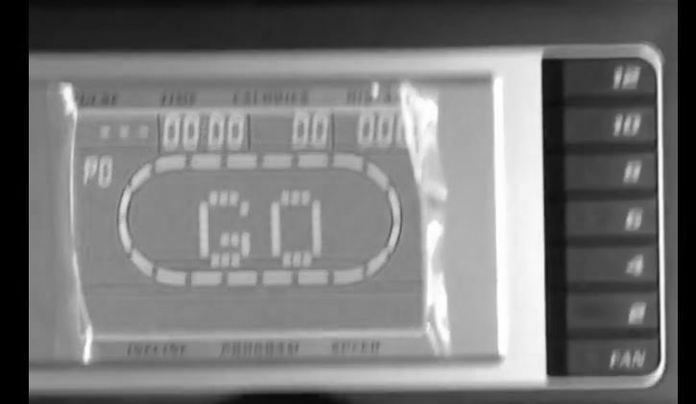 Also on the display is the ¼ mile track display which lets the runner know and track their progress. In terms of entertainment, there are in built speakers which can be used to hook up MP3 players and other music devices to output music during the workout routine. 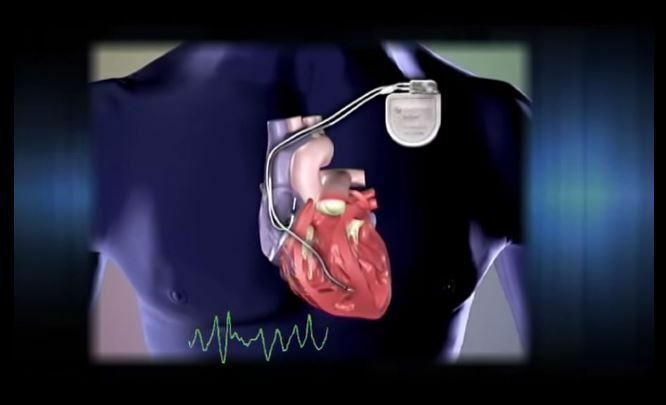 In addition to the above features, there are key safety features available for the user. 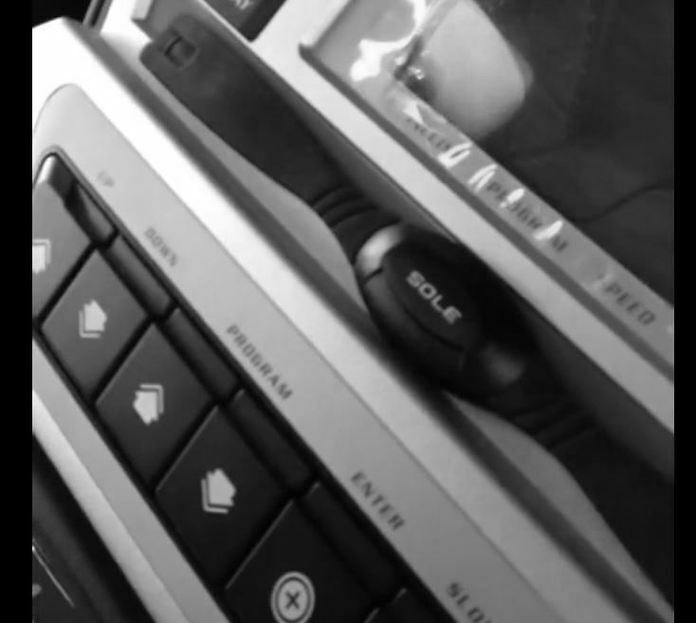 In case of emergencies on the treadmill, there is a wide stop switch button which slows down the machine to a low profile running hood and eventually putting it to a stop. The F63 model treadmill features a few technological specs that are integrated into basic design and function. Below is a closer look at these different technologies and their function on the F63 (https://www.eurekalert.org/pub_releases/2015-04/osu-ndm041415.php, http://www.treadmillconsumers.com/). During the workout, if the user wants to adjust the intensity by adding speed or incline or on the other hand wants to decrease the speed or incline of the treadmill, the control buttons to do so are easy to access on the control panel. They are located along the sides of the screen, making them accessible and easy to reach. The SOLE LCD alphanumeric display screen is the center of control and information on the machine. On this display there is quite a bit of information displayed, including comprehensive details about the workout. These include distance ran, average pace, incline, calories burned and so forth. To access all this information is relatively simple and only requires the user to navigate the information by using the user profile buttons. In the 2016 model the display was upgraded to 6.5 inch LCD. 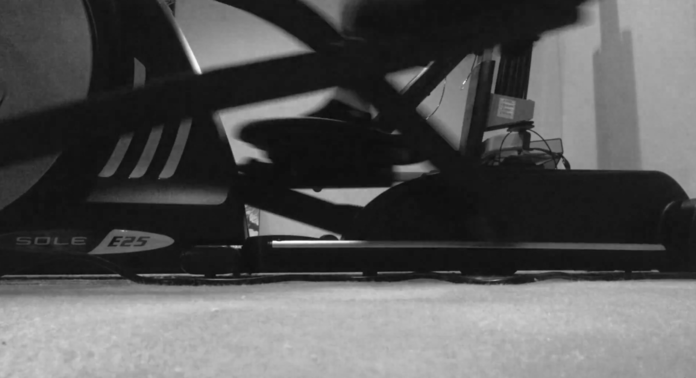 The workings of the treadmill are reliant on the machine’s motors. These motors are all-steel welded frames that are powder coated and with stable inclines. The steel zinc-coated balanced flywheels and motors with large diameters offer for a vibration free and secure surface. Flywheels are largely responsible for the motor to extend the motor life and allow it to run cooler and provide a fluid functioning motion. The belt and roller are technologies integrated within the F63. The rollers are rollers with copper ground wires and sealed bearing design which prolong the life of the belt and facilitate a smooth running motion during workouts. Belts, on the other hand, are woven 2 ply with four layers protected by PVC and nylon which allow smooth functioning and avoid over stretching of the Sole F63 treadmill belt. Irony comes in many forms and occurs under the most unusual circumstances. Consider the dailycaller.com article about Awal Gul, a suspected Taliban terrorist who was incarcerated at the US’s Guantanamo prison in December 2002. According to American officials, Gul died at Guantanamo on February 8, 2011 from a heart attack while exercising on an elliptical exercise machine. Another report says Gul “was exercising on a treadmill, and complained of being tired after 5 minutes“. He was 48. Elliptical equipment is used to lose weight, increase endurance and improve cardiovascular fitness. Gul’s passing might have simply been another statistic along with the other seven prisoners who have died at the US prison, except for one fact: Gul was one of six prisoners that were originally demanded in exchange for Army Sgt. Bowe Bengdhal in June 2014. Secretary of State Chuck Hagel confirmed that there was a sixth person involved in the original trade talks with the extremist group during Senate hearing on the prisoner exchange. The government later released Gul’s name as the sixth prisoner requested in the swap. According to the US government, Gul was a top Taliban recruiter and the commander of a primary Taliban base in Jalalabad, Afghanistan where he also managed the guest house. Officials have also alleged that Gul had direct ties with Osama bin Laden dating back to 1990 and was involved with him in operations. Lawyers representing Gul tell a different story. According to his attorneys, Gul did meet bin Laden at a meeting of wealthy Saudis involved in raising money to build a hospital. Gul claimed that he was unaware of bin Laden’s ties to terrorists and his anti-American positions at that time. Gul further claimed that while he did become involved with the Taliban under duress, he attempted to resign for the organization because of his growing “disgust” with their increasing corruption, abuse and use of terrorism to govern. Gul’s legal team, represented by W. Matthew Dodge, prepared a press release shortly after his passing, noting that Guantanamo placed detainees in one of three categories: court prosecution, cleared for release and indefinite detention. Gul was placed in indefinite detention after being detained. Dodge also stated that Gul was taken into custody while traveling to meet with US military officials. Dodge adamantly states that Gul was not a terrorist and that worked with the Americans during the Soviet occupation of Afghanistan. He characterized Gul as a peaceful man who often repeated an Afghan proverb: “You cannot wash blood with blood.” According to the press release, he simply wanted to return home to be reunited with his family. Regardless of the Gul defense team’s version of the events surrounding his incarceration, it is understandable why the American government was suspicious of Gul’s ties and interned him at Guantanamo. He had a clear link to bin Laden and had been active in the Taliban. Based on factual evidence, Gul was an active recruiter for the Taliban and managed a known Taliban camp and guesthouse. In the Bengdhal trade it is also telling that Gul was one of the six suspected Guantanamo detainees originally demanded in exchange for the American soldier. What is complete fact and truth in Gul’s story will be debated with very little likelihood of a final outcome. However, part of his legacy has come to light after his passing as the sixth man in a highly controversial exchange of prisoners between the US government and a Middle East terrorist group. While most exercise rooms we have seen with the SOLE E25 Elliptical are designed with prominent functionality in mind, it is important to never stray too far away from aesthetically pleasing principles as well. Many people may not realize it, but the design and your feelings in the room can directly affect your performance in it. This means that by focusing on the decorative appeal of the exercise room, you will also be strengthening the functional appeal, while will result in more effective training. A well maintained room will result in less distractions and more personal comfort. Typically, there is much more to establishing an attractive environment in your exercise room than putting together functional pieces of equipment and arranging according to preference. It is always a good idea to observe colors and basic design principles in order to ensure that the space is used in an effective manner. Consider some of the following sections of the room that can be decorated in order to provide you with an attractive and practical training environment. Always remember that no matter what design principles you plan on utilizing in the atmosphere, it is important to be comfortable with the room itself. If you plan on having an active workout area in your home, you will need to work with the right floors (that can support the weight of the SOLE E25 Elliptical). Most quality elliptical machines are quite heavy (which is also true for treadmills). This means considering not only the decorative appeal of certain materials, but also the practical. Heavy exercise equipment, especially larger machinery or weights, can be hard on the surface of your flooring. Regularly used equipment could scratch and mar wood, tile, and vinyl surfaces, while wearing down carpet fibers, damaging both the carpet and the flooring underneath it. 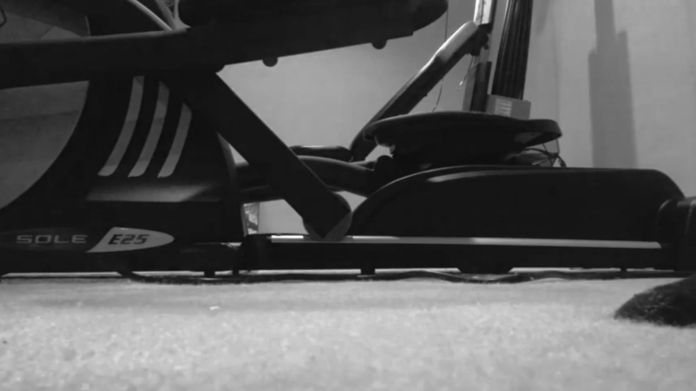 Even if you are using exercise equipment that has rubber feet, it can still end up leaving marks or smears along the surface of your floors, even after just a couple of uses. In order to effectively protect your floor, consider purchasing foam pads that can be interlocked, or a carpet that is based in foam. Even if you do not plan on utilizing such flooring options for the entire area, even a few stylish and functional rugs under key pieces of equipment (such as the SOLE E25) can reduce the strain on the floor. While everyone has their favorite colors, there are certain hues that can be much more energizing and engaging than others. Depending on what type of workouts you plan on enjoying in the room, there are several options for you to choose from. For more hands on and active workouts, such as with aerobic and weight lifting exercises, it is a good idea to paint with oranges, yellows, and reds. For a more calming and relaxing exercising experience, such as with tai chi or yoga, focusing on crisper and more soothing tones of aqua, lavender, and green can help you achieve more mental serenity. With dynamic exercises, you will want to establish explosive hues that will motivate you to keep moving. On the other hand, if you want to establish a calmer and more introspective environment, natural, flowing tones are recommended. Establish your workout equipment according to your needs and exercising goals. If you plan on working with body building equipment, it is highly recommended to set aside a section of the room where you can set a weight bench and the appropriate bar bells and free weights. If you plan on establishing a section of the room that will work with elliptical equipment, however, you will have more practical and stylish options to work with. The SOLE E25 elliptical trainer, for example, can be an excellent addition to your workout room because of the powerful functionality that it can provide you for all of your weight loss needs. In addition to the features provided with the machine, it can also be arranged as a centerpiece for your exercising room. The sheer size and the sleek style that these devices possess can allow you to focus on establishing them as focal points, while you arrange the rest of the environment around them. You should always strive for comfort in your exercising room, otherwise you may not be as motivated to use it as often as you need to in order to reach your goals. Allow for plenty of natural light options to flow through the room. If there is a window, work with the outside area to create an attractive view. Always keeps the area well ventilated to ensure maximum comfort, and look into shelving options to allow for fitness equipment, magazines, even televisions and music systems. All of these items can be established as functional and decorative with the right arrangements. Work with negative space to allow for a natural flow between the functional and a decorative. Also make sure to read up on the different benefits of elliptical exercise equipment. A chalkboard or motivational posters are always good ways to help emphasize your training goals while adding style to the room itself (and your SOLE E25 Elliptical). The Weirdest Frog In The World. We are upgrading our service and servers, please stay tuned. Thanks. © Copyright SKIRMISHER 2019. Powered by YZC Inc.